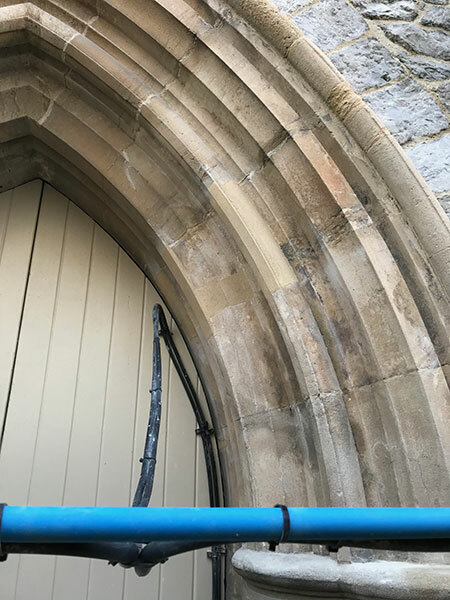 Specialist colour matched stone repairs done as an alternative to replacing damaged or weathered stone. R C Stoneworks are experts at stone repairs. 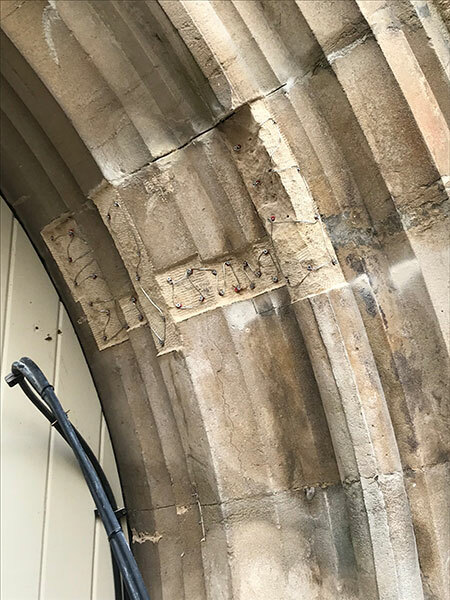 Softer stones on historic and listed buildings are likely to have taken the brunt of the weather over the years (ie Bath stone, Portland stone). In some cases particularly when the weathering is not too major it is possible to carry out a mortar repair. The damaged weathered area will be carefully chiselled back to a suitable depth and sometimes squared up. We are then able to drill a series of holes to take stainless steel screws and then link stainless steel wire to create a cradle (never copper wire as previously used). This acts as a good key to take the mortar repair. We then create a colour matched mortar using stone dust, lime and sands to get the closest possible colour. We do not use premix repair products as many of our competitors do as these contain cement and are inappropriate for this as the stone weathers and the cement does not. Our lime based product that we create is designed to weather at a similar rate to the stonework. Armitures can be used instead of stainless steel wire depending on architects specification.